The AI has been drastically improved, and the player's team will adapt to whether or not they are seen by whispering. The AI also makes mistakes such as tripping, and helps each other when these mistakes are made. The enemy AI has also been improved allowing the Germans to counter your actions. The game is built on the Unreal Engine 3 and the Windows version can take advantage of the features in DirectX 10 which allows for an enhanced graphical experience for more realistic gameplay. Custom Maps that are UNFINISHED. Mean't for you to work on or learn from. This is a demo for a map i'm making. I know there's no objectives and there are some bugs. An actual mod?? are you able to operate more than two squads? Hell's Highway has nothing good but graphics. Just another proof that show us how PC gaming industry is going to shiit. P.S. Real Brothers in Arms - Road to Hill 30 and Earned in Blood + Rendrock's Warzone mod. Are there any mods to not make this game as much of a piece of **** as it is? The other games are so much better, atmospherically and aesthetic wise. The gameplay and story themselves are broken and poor at best in comparison to the first 2, and it makes me sad. The stupid British General Montgomery came up with the Market Garden plan himself. History blames the idiotic British because it WAS THEIR FAULT. Look at how the Germans BEAT their *** in Arnhem. The British are terrible fighters, the statistics prove it. Far lower K/D ratio than American soldiers and Marines..
suprisingly i havent had a single but whatsoever and i freaking love this game. i dont see why anyone would hate a great game like this. 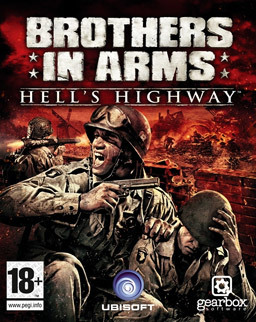 i think both this and the call of duty games are the best war games of all.